Finance Minister and head of 'Kulanu' party Moshe Kahlon spoke at the opening of the cabinet meeting today (Sunday), addressing concerns about the potential negative effects of Brexit on the Israeli economy. "Over the weekend, I've had meetings with the Prime Minister, the Governor of the Bank of Israel, and other senior economic officials," Kahlon said, "the Finance Ministry and the Bank of Israel are following the effects of Britain's separation from the European Union closely. We've established a situation room, staffed 24-hours a day, to follow all developments." Britan's vote to exit the European Union has had a destabilizing effect on world markets as uncertainty about the future of the UK's trade relationships with the EU and other countries sets in. 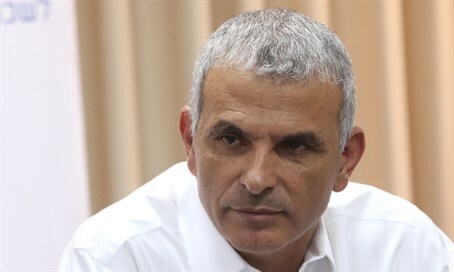 Kahlon pointed out that recent data shows that Israel's economy is in good position to absorb any potential hits caused by the general instability. "Just this weekend we found out that the current unemployment rate is among the lowest we've seen in recent decades (4.8%), our budget deficit is low, and our debt/equity ratio is among the lowest in the developed world. We will continue to follow developments closely and react accordingly, if necessary."